Part 1 of this series explored the basics of leave policies. This article will examine some of the current trends pertaining to leave policies. When employers have historically offered paid leave, they have often provided sick leave and vacation (or annual) leave. Recently, many companies have taken bold steps to change the way they administer these benefits. Let’s take a look at some of these trends. Parental leave has been in the news a lot recently as companies implement this perk as a paid benefit. While the family medical leave act provides time off for the birth or adoption of a child, this leave is unpaid, providing up to 12 weeks off during a 12-month period. Companies implementing parental leave typically offer paid leave, in some cases, more than 12 weeks in duration. Parental leave benefits are typically available to employees for up to a year following the birth or adoption of a child. This arrangement gives employees flexibility, allowing them to spread out their time away from work. This allows them to coordinate with another caregiver and maximize time with their children. Technology companies are making many headlines in this arena. In late 2015, Amazon announced significant changes to its parental leave policy. It now provides mothers up to 20 total weeks of paid leave. Fathers and adoptive parents are eligible for up to six weeks. Facebook is another early adopter of paid parental leave benefits, providing up to four months of paid leave. In November of 2015, founder and CEO Mark Zuckerberg announced that he planned to take two months of paternity leave when his daughter was born. The private sector is not the only area of the economy increasing these benefits. Navy Secretary Ray Mabus tripled maternity leave for female sailors in July of 2015. The move to 18 weeks of maternity leave was inspired by a similar move at Google. The online search giant found that the number of moms who left the company after giving birth was halved after it increased its maternity leave from 12 to 18 weeks in 2007. Another strategy is to scrap vacation and sick leave balances in favor of paid time off. Employees have historically received separate sick-leave hours, as well as vacation hours each month. Employees used sick leave when they were sick, needed to care for a family member or go to a doctor’s appointment. 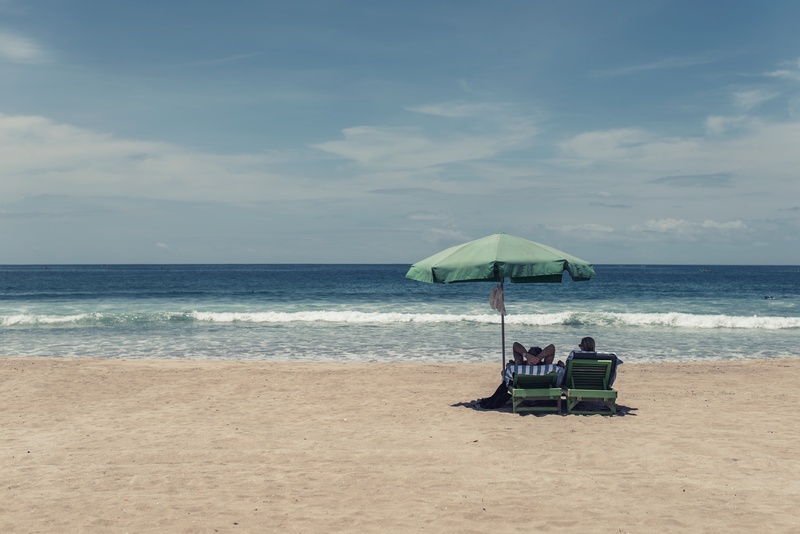 When employees took a vacation or needed a day off and were not sick, they took vacation (or annual) leave. This turned some supervisors into investigators: “Are you sick? You don’t sound sick. Why does it sound like you’re in a casino?” Some employees felt entitled to make full use of the sick leave they received each month. Employees that didn’t abuse the sick leave felt they were not able to use the benefit. PTO aligns the interests of the employee and employer. The accrual is used for all absences. It removes the incentive for an employee to take a sick day for no other reason than because he or she received one last month. Though parental leave has not been the trendiest leave policy as of late, unlimited time off has been. Companies like LinkedIn and Netflix have moved away from tracking employees’ time off. Instead, employees decide how much time to take off. This policy is built on a mutual understanding between staff and management. Unlimited time off is often adopted by organizations that have demanding work schedules. Employees have to consider their projects and workload when scheduling absences. Performance and delivering results is what counts, not days in and out of the office. The downside to this is a potential overemphasis on performance. Critics of the policy say employees end up taking less vacation. They point out that there may be disincentives to use needed benefits in competitive work environments. A Netflix representative countered that argument in a 2011 Wall Street Journal article, stating that employees were taking an estimated three to five weeks off under the new policy – the same or slightly more than under the previous benefit. Employers can adopt traditional leave benefits or offer employees newer plans. This can set them apart from competitors. It can create policies that retain employees through well- managed leave programs. But the existence of a leave policy is rarely enough. Determining what fits and aligns best with the organization may be most important. Changes in work and the economy are an opportunity to align benefits with goals and culture. Paid time off policies are a step in that direction. Employees become empowered to use their time off to meet their needs and supervisors have less reason to meddle in personal business. Why dictate the amount of time off to high-performing employees? Top employees are unlikely to see unlimited time-off policies as an excuse not to work. These policies recognize that an employee can be responsible in deciding how much is enough while still remaining productive. Choosing the best leave policies is a balancing act, and employers should be careful to retain productivity while being fair to their employees. Leave benefits come down to employers recognizing and encouraging employees’ needs for balance. Technology and connectedness have blurred the lines between work and personal lives, sometimes resulting in people pursuing demanding careers to the detriment of family. Making these benefits available and encouraging their use can benefit both employees and employers. Requesting or approving time off and distributing company policy to employees doesn’t have to be complicated. Discover how GoCo can simply your HR, paid time off, benefits and payroll so you focus on doing what you do best.